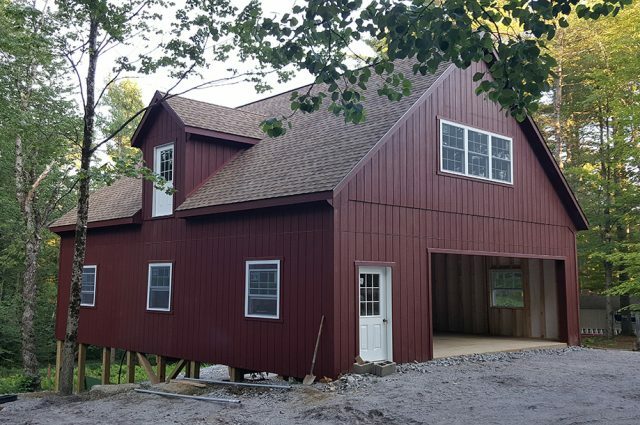 Garages are an obvious choice when it comes to outdoor storage options! 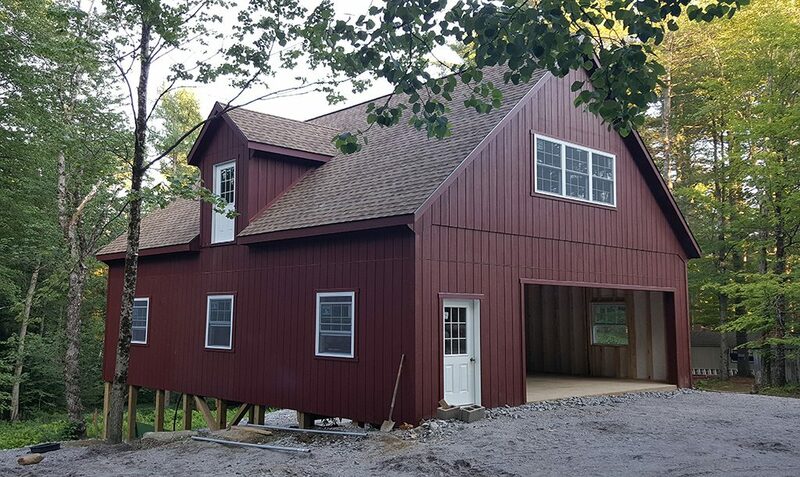 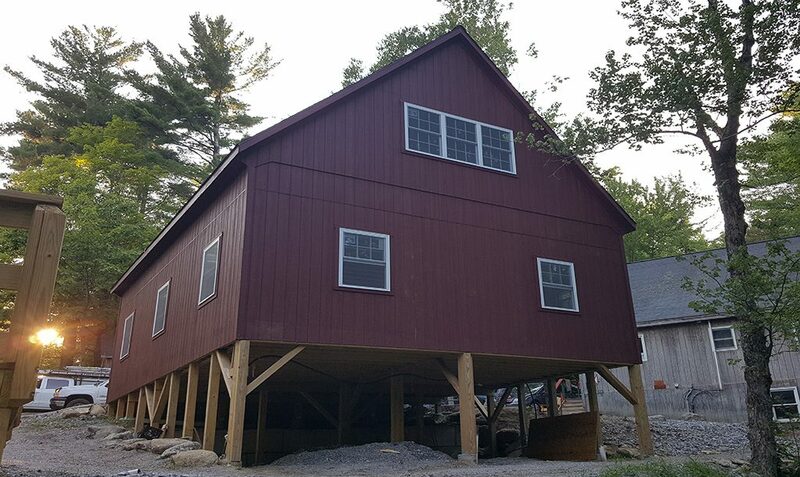 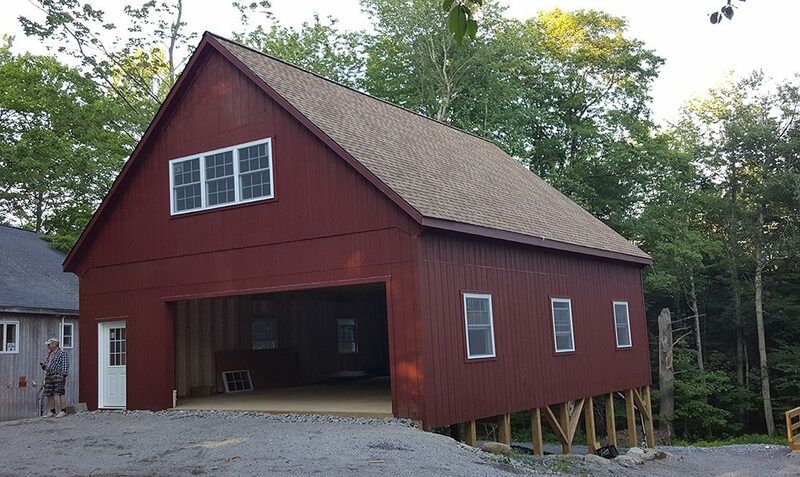 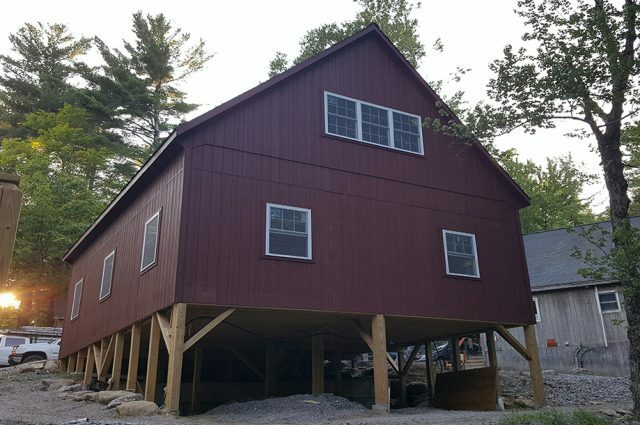 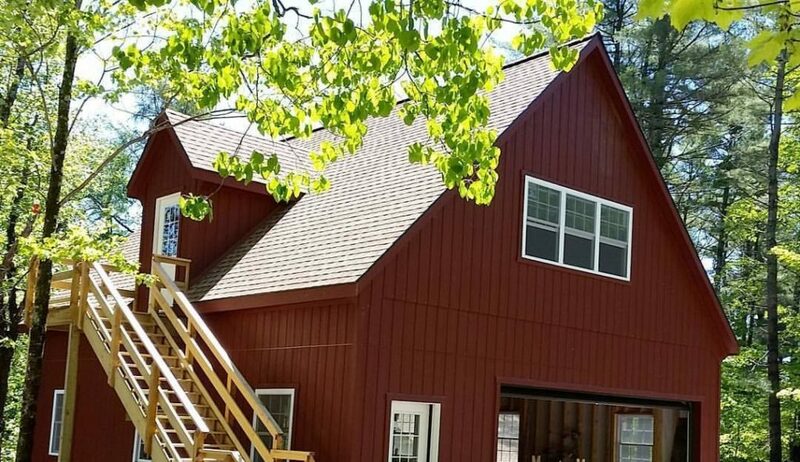 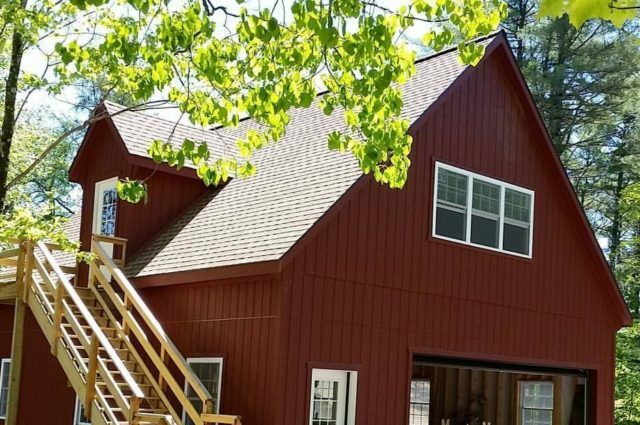 Here is one we recently built in New Hampshire that features a prefab 12 pitch, red paint, and large doors on its exterior. 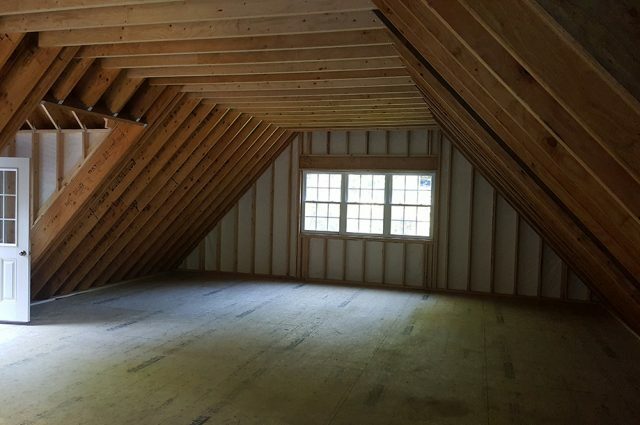 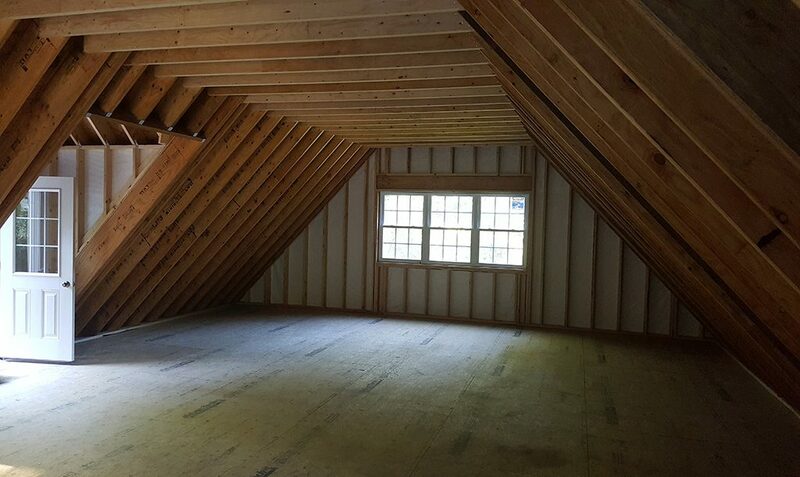 Custom options include Duratemp siding, a loft, and a dormer window.